DC summers can be oppressive at times. That’s why it’s critical that homeowners have an efficient and effective air conditioning system. With the many advances in technology, there are more options and solutions available than ever before. 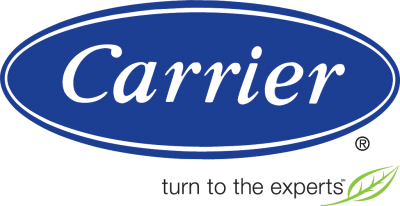 B.M.C/Clower is constantly working with industry leaders like Carrier and Lennox to stay on top of these options, and is ready to help you maximize your summer comfort. We understand the importance of a properly functioning cooling system and offer regularly scheduled check-ups and system inspections (through our Maintenance Agreements) as well as emergency response repair services to ensure that you are getting the maximum performance from your comfort investment. Check your circuit breaker or fuses to make sure your air conditioner as power. Have you replaced your filter recently? Have you removed any debris from around the outdoor unit? Wait 15 mins for the system to cool down, reset and test. Request an estimate or schedule a service call with B.M.C./Clower today! The choice between gas and electric units is often one of personal preference and the related costs of each energy source in your area. Once much cheaper, the rise in the cost of natural gas has helped to make electric a solid consideration for many homeowners. The choice between duct or ductless often depends on the architecture and type of home into which the cooling system is being installed. While ducted systems can be less expensive in most instances, the ductless option in older homes or in new home additions has become increasingly attractive to homeowners. 3. Small or Large Area? Just as with heating systems, proper sizing of your cooling solution is critical. If too large, the solution will likely end up wasting energy. If too small, the solution is likely to end up failing in its goal of providing desired comfort. Whether you’re searching for a new air conditioning system for your home, a larger capacity cooling unit, or in need of maintenance or repair on your existing air conditioning equipment, B.M.C/Clower is ready to be of service to you. Call us today at 866-904-9946 to request an estimate or schedule service. Copyright © 2016 B.M.C/Clower Heating and Air Conditioning. All Rights Reserved.